The new year gives us a chance to pause and ask ourselves the big questions: “How am I doing? How can I improve?” If you’re a parent, perhaps you resolve to be a calmer one, a more consistent one, a stricter one, a more involved one. Maybe you’re thinking about the gap between the parent you are and the parent you want to be. Here are four steps for you to effect positive change in your family this year. Many of them are simple to put into place, but create change that will last for a lifetime. When you know how to stay separate from your child and not get into his box, you will find yourself making fewer resolutions about staying calm, worrying less, and keeping your cool, because those things will naturally occur. Self-reflection is key to all good relationships, including those with your kids. And the beginning of a new year is a great time to resolve to make any necessary changes. Resolutions first require some thoughtful self-reflection. Here are some important New Year’s questions to ask yourself which will help you reflect and formulate your own resolutions. Do I lose it with my kids? Is my losing it more about my own sense of helplessness or lack of effectiveness, tolerance or patience? What are my temper “buttons” with my kids? What do those triggers say about me? What can and can’t I expect of myself as a parent? What are—and aren’t—my responsibilities? 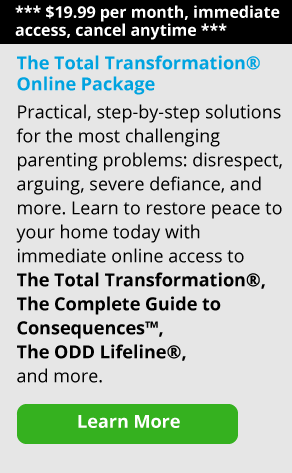 How is my behavior contributing to any problems that I see in my kids? Is there anything I’m doing that might contribute to their misbehaving or their not listening? Are there things that I nag or criticize my child for that I need to improve on myself? Is being with me a good feeling or do I spend most of my time criticizing, correcting and being negative? Would I like to have myself as a parent? What would be positive and what would be most difficult? Do I carry enough compassion for myself when I’m parenting? If not, what can I do to develop more of that for myself? Realize what you have control over. Recognize you have control over your response to your child’s actions, not over the decisions he makes. Give yourself the time to breathe, get the adrenaline down so you can get the thinking part of your brain engaged. Before you respond, spend time thinking about the most effective way to respond to your child’s behavior. Make sure you’re calm when you speak to him about his behavior, and the consequences you might be giving him. Work on your triggers. Try to be aware of some of your beliefs that trigger your anger with your kids. Although you will hold your kids accountable for inappropriate behavior, also recognize that much of their behavior is just kids being kids. Don’t be mad at them for going through their natural developmental stages. Young kids have lots of energy and often use it to get into everything in sight. This is necessary and healthy for kids, as aggravating as it is for us. Older kids explore the boundaries and take risks in order to individuate from their parents—another necessary step in their development, although it is scary, worrisome and aggravating for parents to witness. Practice good self-care. Do what you can to calm and soothe yourself. Get enough rest, take care of your health, work on your adult relationships, pursue your goals and interests. The more you care for yourself, the more resilience you will have and the more your children will not have to emotionally fulfill you. “Name that stressor!” Manage your distress by acknowledging it and naming it. You can say something like, “I’m feeling annoyed right now. 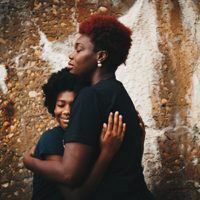 I’m going to take my own timeout, breathe, and think about how I want to address this problem.” By doing this, you will be calming yourself down and modeling for your children how to better regulate themselves. Make a commitment to change. The only way for you to follow through on a resolution is to first decide that you will. When you realize your decision to do something differently has meaning, importance or value to you, it gives you the motivation and power to keep going. Only then can it become the commitment and priority that it needs to be. Work on yourself. When you make this commitment, you’ll also to recognize how important working on yourself—rather than on your kids—is to creating great and lasting relationships with them. And of course remind yourself that your improvements will be helping your kids grow to be self-reliant, caring adults. Do whatever it takes. Put up reminders on your bathroom mirror. Ask your mate to gently remind you about your commitments. Come up with a code word or signal. Do whatever it takes to keep your commitment to changing. 2 positive interactions for every negative comment. For every reprimanded correction, criticism you give your children, (a necessary part of parenting), add two positive interactions. They can come in the form of a hug, a compliment, acknowledgement of something well done, a smile, or having a fun time together. Remember, the brain remembers negatives very well, but has a much harder time holding onto the positives. That’s why you need to make a conscious effort to include two positives for every one negative. Be separate from your child. The best gift you can give your children is being a parent who knows separateness. When you know how to stay separate and not get into your child’s box, you will find yourself making fewer resolutions about staying calm, nagging, worrying less, and keeping your cool, because those things will naturally occur. When you are separate, you will naturally allow your child to own his life. They will be his disappointments, his frustrations, his mistakes, his struggles; you will acknowledge this without getting into his head or letting your worry get in his way. You will know these are problems for him to own, not for you to own. It will be clear what belongs in your box and what does not. Look at it this way: You have your own disappointments and struggles and goals to work out. You can be there as your child’s guide and leader—not the owner of his life. The way to be truly connected to your children is to be truly separate from them. If your adult child is still living at home and sleeping until noon every day, instead of thinking of him as a sloth and telling him what he should do with his life, stop having an opinion and get interested and curious about his. Find out what is making him tick or not tick. At the same time, be honest with him. Let him know what you expect of him while living at home or whether you are still willing to have him in your home six months to a year from now. Sit down and make a plan together. If your child picks a fight with you every time he’s about to do something he does not want to do, don’t engage. This way he can wrestle with himself and his own discomfort, rather than get to deflect from himself by wrestling with you. If your daughter is hysterical about whether or not she will get the job she desperately wants, stop jumping in with reassurances or taking on her pain or worry. Stand by her side rather than jumping in her box. Tell her you understand how crummy it feels to have to wait when you want something so badly. Be next to her instead of on top of her. Above all this year, always resolve to ask yourself: “Who owns this problem?” If you are the owner, work to solve it. If you are not the owner, stay out of your child’s way and give them the space to own and figure out their own problem. You can stand nearby in case they would like your guidance, but don’t stand on top of them. By doing this, you will be giving yourself a lot more time and space for your own life, which is the best thing you can do for both your child and yourself. Wishing all parents and families out there a happy and healthy new year!